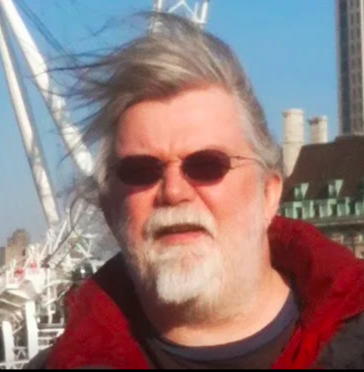 David Scott is Chaosium’s convention coordinator for UK/Europe and IT support specialist. An accidental meeting in 1980 introduced David to a new world of RPG joy, RuneQuest. From then on it was Chaosium games all the way (and some Traveller). Setting up an RPG club to play RuneQuest was a major turning point as it brought together the people destined to found Moon Design through their involvement in the Reaching Moon Megacorp, publishers of Tales of the Reaching Moon magazine. This is when David’s direct interaction with Chaosium began, as one of the organisers of the Chaosium orientated Convulsion convention in Leicester, UK. Years later this led to his proudest moment, being published as one of HeroQuest Glorantha’s authors. David is currently playing a character who is a technology consultant, working across a broad range of matters from teaching kid’s how to survive their first night in Minecraft to mixed platform networking. His primary skill is nodding and his worst skill is RJ45 crimping.